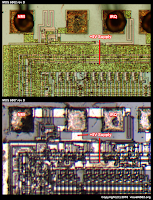 Many sites mention something to the effect of, "The 6507 is just a 6502 in a smaller package." Well, not quite. 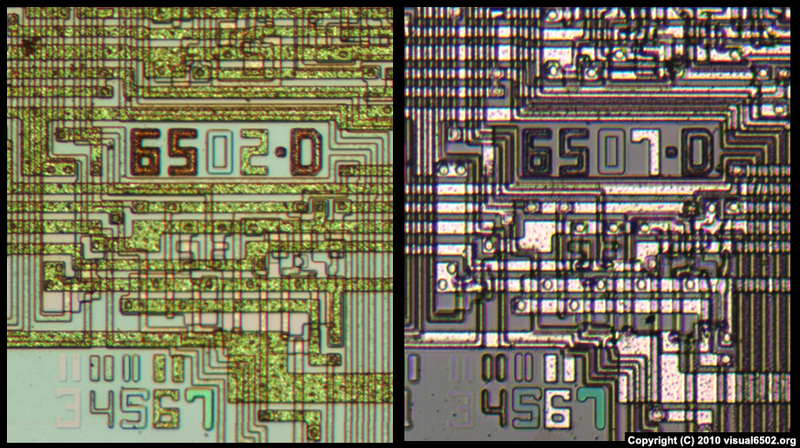 The two are almost identical, but the 6507D from our Atari 2600 system has a slightly different metal layer. 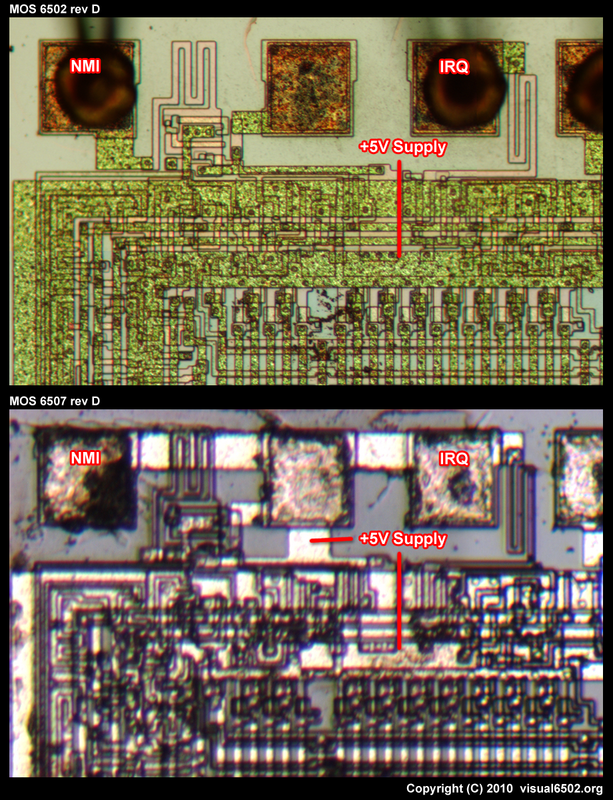 Metal is used to make the last digit of the on-die part number, so it's an easy change from "6502" to "6507" Also, the 6507 has its NMI and IRQ pads permanently hooked up to the +5V supply. This disables both flavors of interrupt in the 6507. Is is possible to get high resolution scans of those dices? I would like to create my own verilog version of them starting from 6507/2. I see a lot of people write "dice" instead of "dies" (which is the plural of "die") but dices... no. And the plural of dice isn't even dices, but just dice. Thanks for pointing that out. The problem is dice and die is the same word in my language and I sometimes mix those two up. I've been trying to find out if it's possible for someone to write a program that can identify which version TIA is being used. I know of at least 3 different version of the TIA, and a few games don't work the same with all of them (see list below). Has the same TIA incompatibility problem first discovered with Kool-Aid Man. This causes some of the digits to overlap each other. Incompatibility problem with the original 6-switch model (a glitch appears on the title screen), and certain 7800 systems. PAL carts also have a problem with the title screen (on PAL 7800 systems). Slight incompatibility problem with the original 6-switch model which causes the game will reset upon completing the 1st screen. JRs and most PAL JRs, and all PAL 7800s). This causes some of the digits to overlap each other, triggering a collision register and causing your character to continually bounce back-and-forth in the upper-left corner. The 1987 re-release has some incompatibility problems with the original 6-switch model and certain 7800 systems – the game will hang up when you completed the bonus stage after level 3.
correspond (horizontally) with a stray dot, that will disappear as well. Has the same TIA incompatibility problem first discovered with Kool-Aid Man (see entry). This causes some of the digits to overlap each other. Thanks for the great summary of TIA differences. 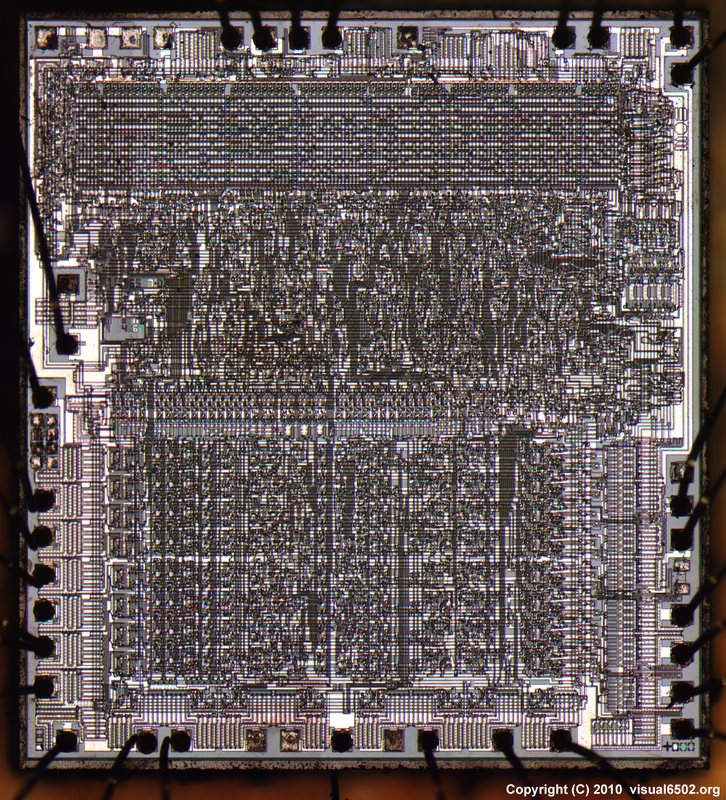 We've only looked at one flavor of the chip, a 10444D out of a 4-switch console. If you have a source for other versions or are willing to donate, we'd love to take it apart. 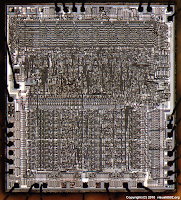 See the 'Donate old chips' page of our visual6502.org site. Happy 35th to the 6502!